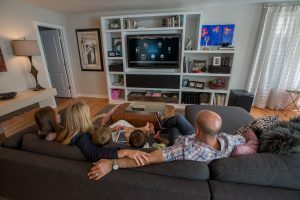 We all lead hectic lives and managing a household no matter how big or small can be difficult when we have such busy schedules and are very often short of time.This is where a Smart Home can help. Even the simplest of things such as choosing a song to play on your stereo system or closing the curtains to shut out the midday sun can become tedious when tired or low on energy. Necessary tasks like remembering to switch off lights before you go to bed or locking the door when you leave the house can easily be forgotten when in a rush or having a million other things on your mind. 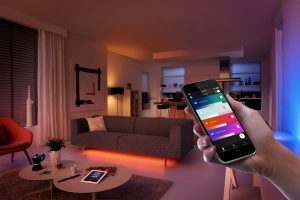 Lights, thermostats, motorised shades, TV and audio, security system, home theater – they can all be controlled by a smart home system – so you don´t have to. Smart light bulbs, light switches, exterior lights and complete home lighting systems. Switch off every light in the home at bedtime with the touch of a button. Check that all lights have been turned off when you´re away from home. Indoor and outdoor cameras, sensors, door locks, video door entry. Keep an eye on kids or pets when away from home. 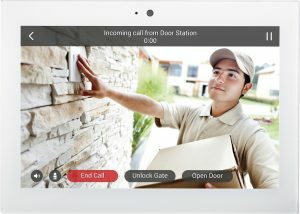 See who´s at your front door from anywhere in the world. Thermostats, air-con, window shades, ceiling fans. Reduce energy costs and run heat and AC more efficiently. Ensure a comfortable sleeping temperature. Whole home audio and video systems, home cinema, TV, multi-room speakers. Clear the house of remotes and other AV equipment. Transform a living room into a home cinema at the touch of a button. Wirelessly stream music to any speaker in the home. 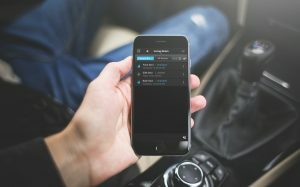 Wi-Fi networking, garage doors, smart plugs. Close the garage doors from your sun lounger or your car. Access the internet from the garden without interference. Turn off your hair straighteners, iron and other electrical devices remotely.